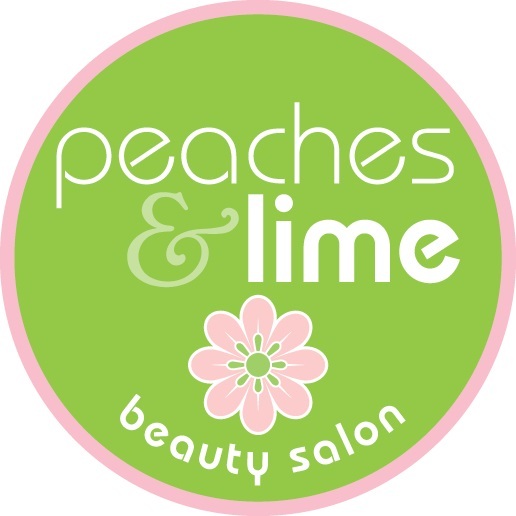 I liked the treatment because my skin felt soft and looked clear and bright, and the hair removal result was great too - all the hair was totally gone with no re-growth. 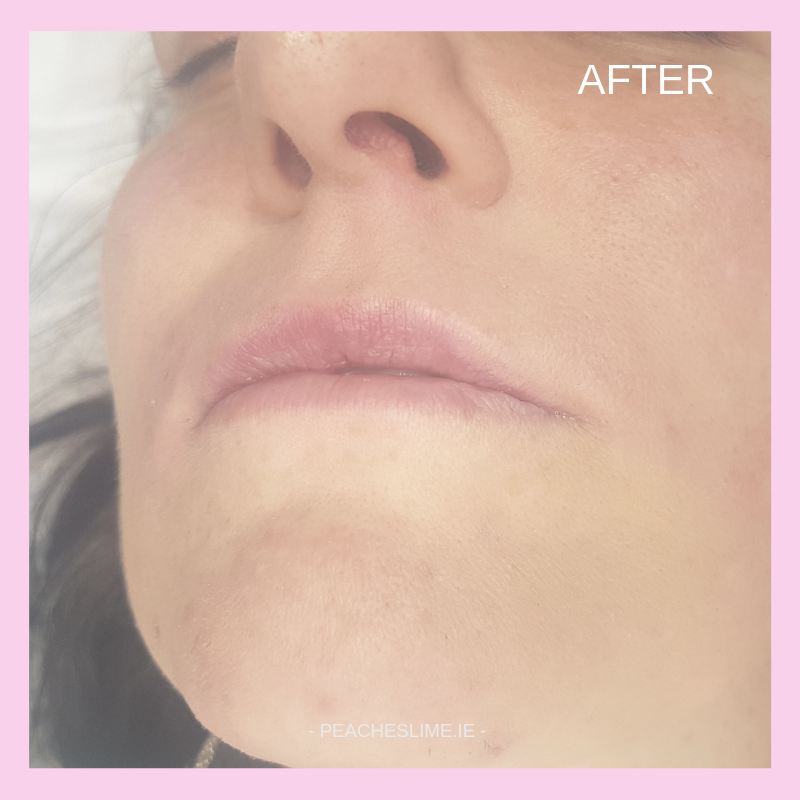 I would like to continue to introduce you to sugaring hair removal and this week we would like you to meet our next volunteer - Máire, who took part in Sugaring Promotion Campaign and tried lip and chin sugaring treatments. 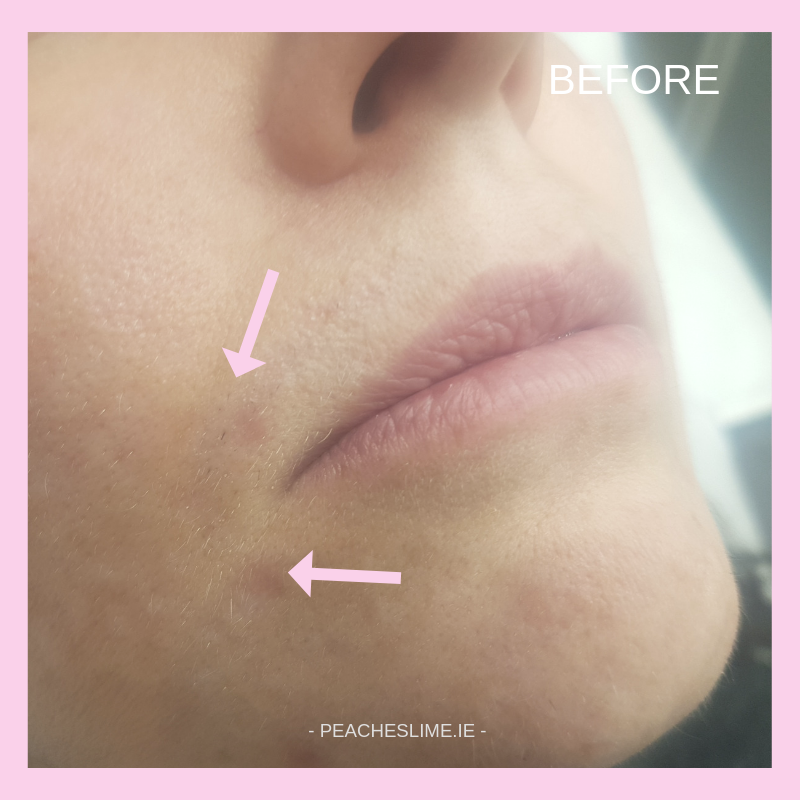 Máire had some unwanted facial hair on her chin and around lips. In the past she has used waxing and tweezing in order to remove it. I have used tweezers to remove unwanted hairs since I was in my early twenties. In the past I have found tweezing is a good way for me to remove unwanted hair because it is quick and I can do it at home every day. However, it doesn't give a lasting result and I need to tweeze every day to keep unwanted hair growth at a minimum. Again, tweezing only works for hairs that are long and it also aggravates my skin, leaving redness or pimples where the skin was pulled. Sugaring left my skin soft and nourished, and it was much more gentle than waxing. Sugaring felt very like waxing but without the burning wax sensation. It was a more comfortable treatment too because waxing is hot and can feel like it's burning however, the sugaring is done at body temperature. My skin looked great - bright and healthy - and it was really soft to the touch afterwards. Sugaring effectively removed all the hairs that were long enough to be removed (some of the hairs were too short at the time of the sugaring treatment to be removed effectively). On a scale of 1-10 with 10 being the most painful I would give it 5. For about a day, my skin remained patchy red and stingy in the area that had been sugared. This cleared up. Also, the upper layer of skin that was sugared, peeled away like as if it was naturally peeling. It didn't concern me as I knew it was my skin's reaction to the sugaring treatment. All redness, stingy feeling and peeling cleared up in a day. I liked the treatment because my skin felt soft and looked clear and bright, and the hair removal result was great too - all the hair was totally gone with no re-growth. I have a few more sugaring treatments to do to remove all the hair as some hair was too short to be removed at the first treatment. I disliked the treatment because I had to let the hair grow to a minimum of 4mm for the sugaring to be effective. My hair is dark and I get growth in unwanted areas such as my face. I had to let the unwanted hair grow for 2 weeks. I felt embarrassed about my unwanted hair being visible. Usually I would tweeze these hairs every day or 2 days and no one sees them. Yes, but I would do it more often, so I don't have unwanted hair visible to people. My skin looks great after the treatment and it feels so soft. 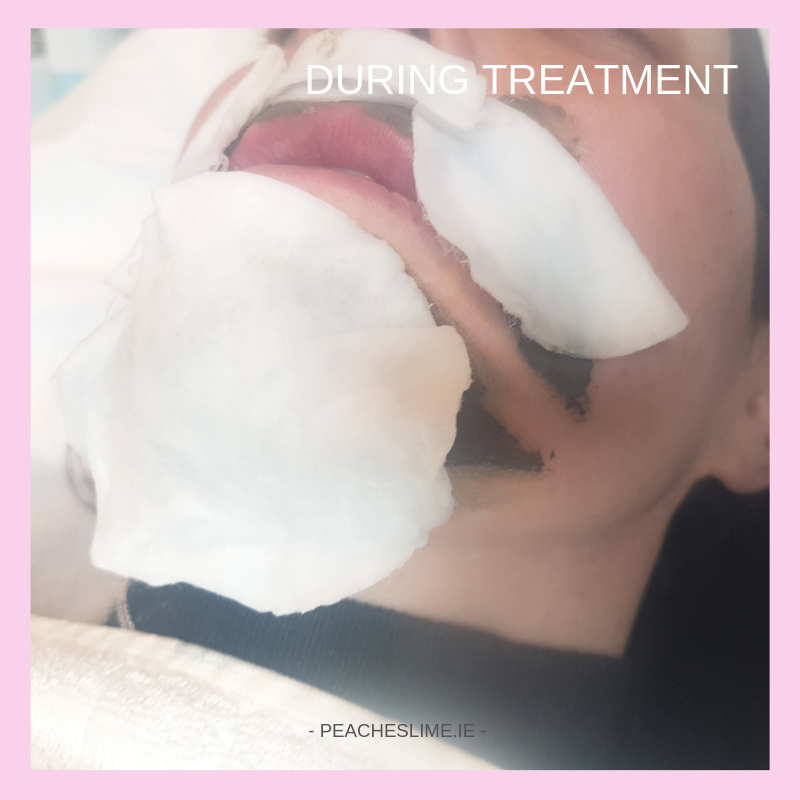 I would also recommend it to my friends but I would inform them about having to let their unwanted hair grow before they can get it removed so they can plan around the treatment. We used Alexandria Professional sugaring products for this facial sugaring treatment. 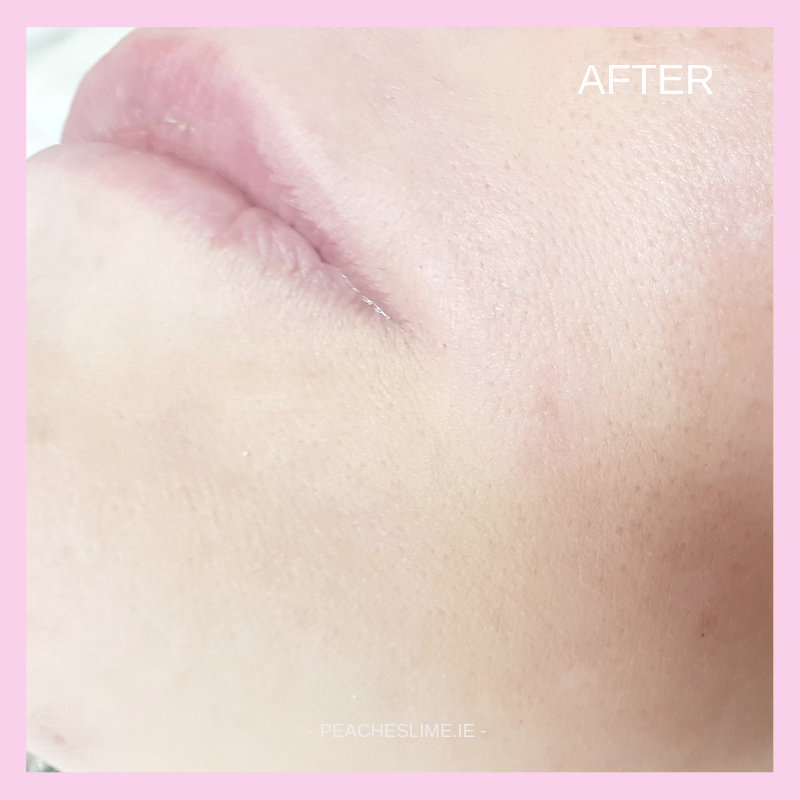 Calming Hungarian mud mask was applied to Máire's skin after sugaring which will help with ingrown hair problems, treating facial blemishes and improving skin texture. It also removes impurities and dead skin cells from the skin surface so skin feels softer and smoother.